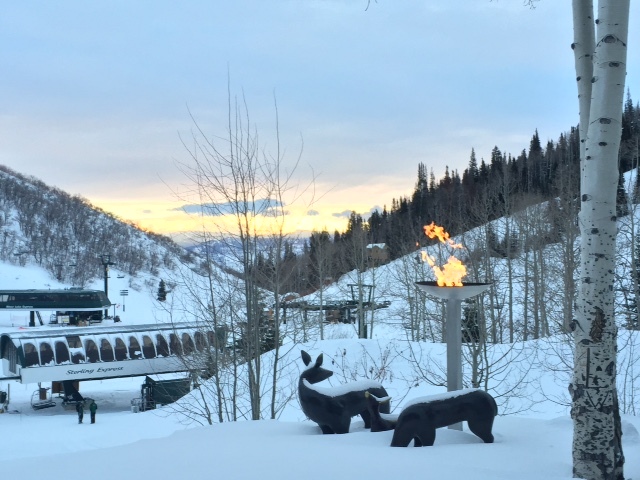 We’ve all heard that the best things in life come in small packages (diamond rings, Krugerrands, chocolate truffles) but Park City has dispelled that myth with the recent opening of Park City Mountain Resort. The resort completed a $50 million improvement project last December, the highlight being the Quicksilver Gondola which connects the old Park City Mountain Resort to Canyons Resort. The result is an astounding 7,300 acres of ski-able terrain (300 trails and 41 lifts), making fun-filled Park City Mountain Resort the largest ski and snowboard resort in the U.S. 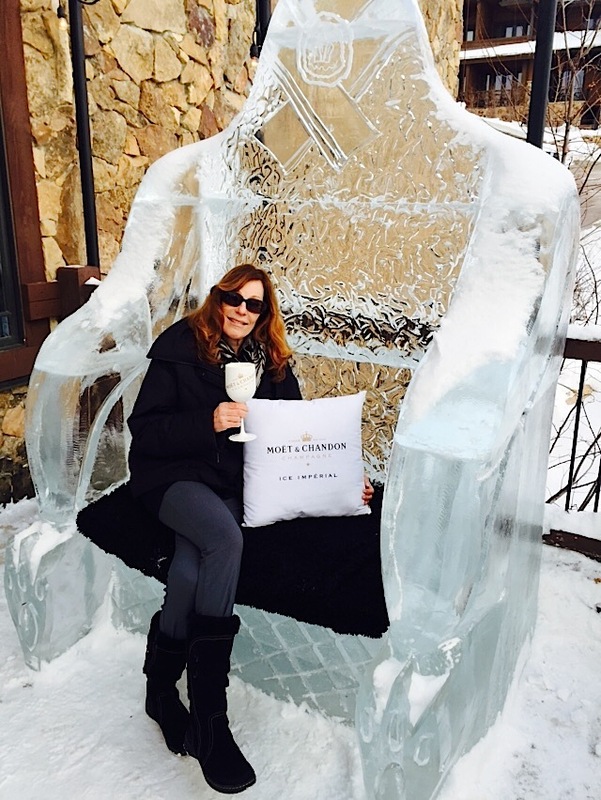 This European-style, ski-in/ski-out resort in Deer Valley is Park City’s only 5-star, 5-Diamond hotel and lodge due in part to their fabulous customer service and attention to detail. It’s well worth the splurge to book one of their seven grand suites. Each is uniquely designed but all feature non-fussy, mountain-chic décor, full gourmet kitchens, stone-tiled bathrooms with oversize jetted tubs and separate showers generously supplied with Molton Brown of London bath products, marshmallow-soft, down-covered beds, stone-hearth fireplaces in the living room and master bedroom and a private deck with a hot tub, perfect for watching skiers schuss down the slopes as you soak and sip on some bubbly. 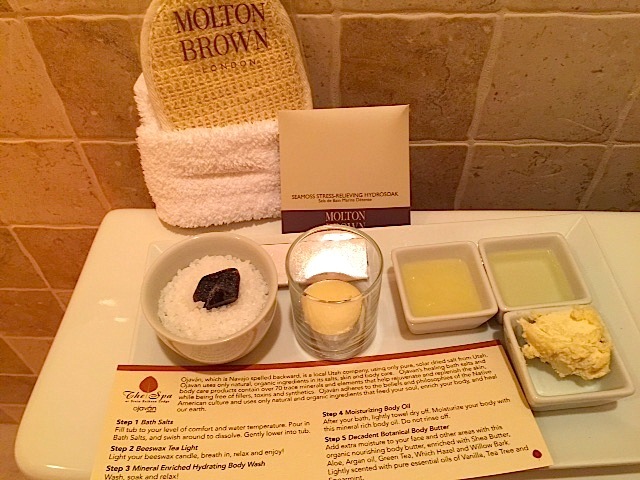 Check out their new bath menu, where guests select from a variety of aromatherapy bath products (candles, salt scrubs, moisturizing oils, and body butters) which adds to your soaking pleasure. Start your day right with a generous buffet breakfast, including everything from healthy fresh berries, granola and yogurt to salmon eggs bennie at their award-winning Glitretind Restaurant. Later, head downstairs where the adorably friendly ski valets jump to help you put on your boots, tighten your helmet, carry out your skis, grab you some Kleenex or a complimentary cup of cocoa before you slide down the hill to the lift, about a half block away. Skiing doesn’t get much more convenient or more pleasurable than this! 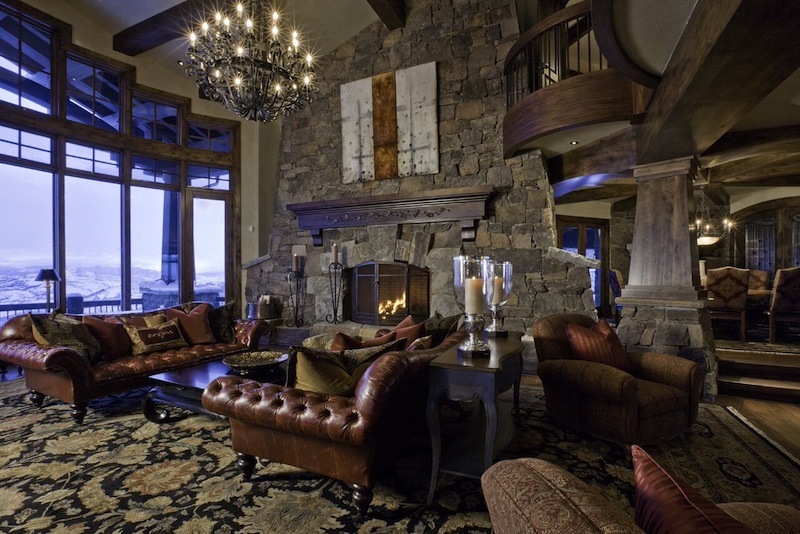 When you’re done skiing and return “home,” you can settle in by the fire with a mulled wine at the lively Troll Hatten Lounge, work out at the fitness center or relax in the full-service spa. 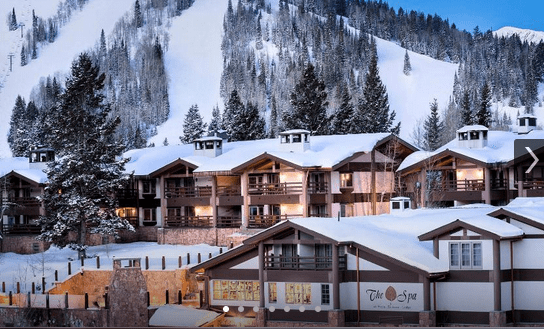 For the ultimate in style and privacy, consider Resorts West where you select from over 150 exclusive luxury homes and condos sprinkled throughout Park City Mountain Resort, Deer Valley Resort and Canyons Resort. Your private concierge handles all the details and can seamlessly add on such services as a private chef, luggage shipping, grocery shopping, ski rentals, spa treatments, a personal trainer. For bragging rights, ask them to book a ride on the official bobsled track of the 2002 Olympics. 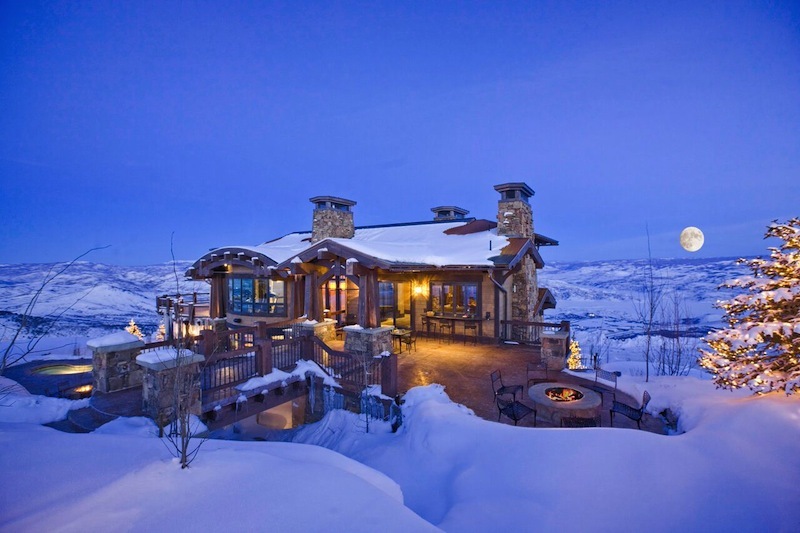 After perusing their portfolio, my first choice is their ski-in ski-out Resorts West Ski Dream Home, perched on top of Little Baldy Peak at 8,000 ft. in Deer Valley. Just a few of the stunning features of this 14,000-square-foot, six-bedroom, ten-bath home include an outdoor heated pool with a cascading waterfall, 4,500 sq. ft. of wrap-around decks to take in the stunning views, 15 fireplaces (including two exterior fire pits plus a massive 21-foot stone fireplace in the Great Room) two wine cellars holding over 1,000 bottles, a “Chill Room” with state-of-the-art DJ booth, a 550-gallon aquarium, a movie theater with a 124-inch screen, a fully equipped exercise room and a day spa suite. Everything but a partridge in a pear tree, although I’m sure the concierge can arrange it. Ever since Utah has relaxed its strict liquor laws, Park City is becoming party central for fun places to eat, drink and hang. 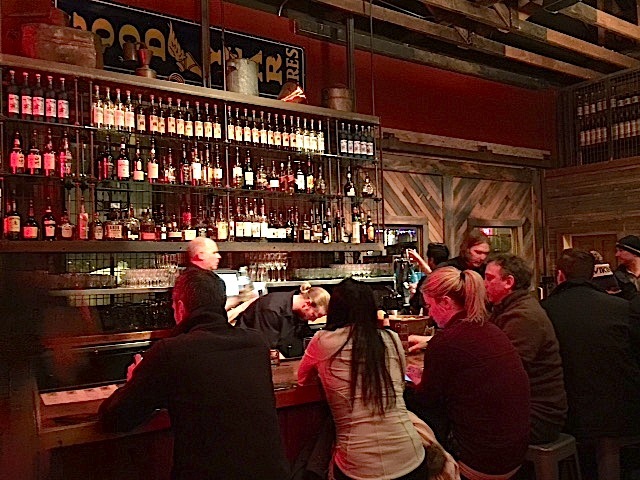 Don’t miss High West Distillery & Saloon, the world’s only ski-in distillery and gastro-saloon. Their small-batch, artisanal rye whiskeys and oat-based vodkas are made from the finest mountain ingredients, which are then distilled in a traditional copper pot. Try light Whisky Lemonade, a warming Bourbon Cowboy Coffee or a whisky flight, which all pair perfectly with the “Grillsmith,” a hot cinnamon Krispy Kreme doughnut topped with vanilla ice cream doused with Whiskey caramel sauce. The new kid on the block, The Arctic Ice Lounge at the glam Waldorf Astoria is literally ”too-cool for school.”Open only during ski- season this happenin’ ice bar features amazing ice sculptures including an over-size penguin ice-throne built for two. Grab your honey to keep warm along with a flute of Moet’s Ice Imperial Champagne (created to be served over ice) or a Moët cocktail like the Kentucky Fizz, made with local High West Double Rye, bitters and Moët Ice, while nibbling on the ultimate bar food: beluga caviar, oysters and sashimi. 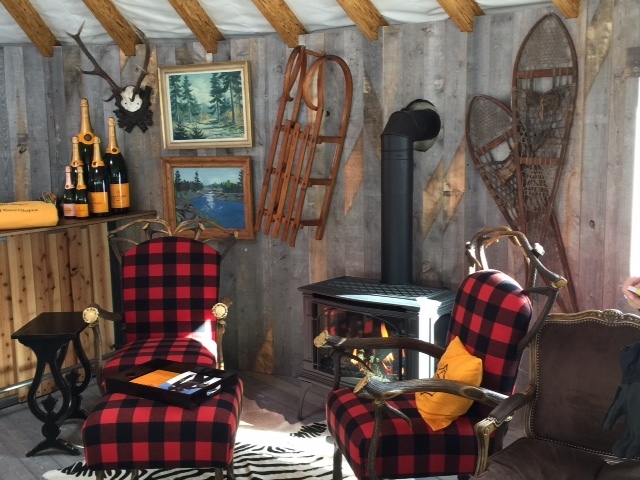 If you’re skiing at the Montage Deer Valley Resort, pop into the bright orange pop-up, the uber- lux Clicquot Yurt! 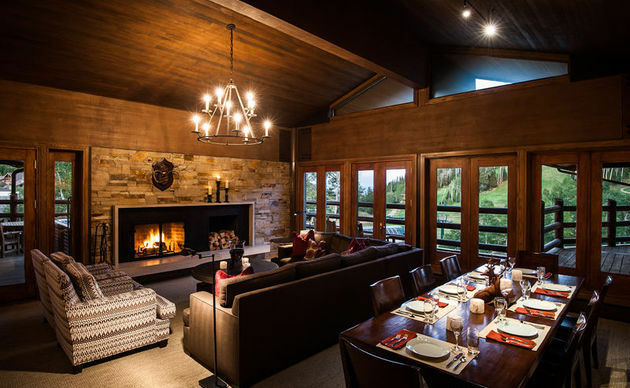 Where else can you take a quick ski break, nestle under a fur throw on a comfy sofa in front of the roaring stone fireplace and pop a bottle of Veuve Clicquot, accompanied by upscale munchies? For an elegant dinner, try Powder at the Waldorf Astoria Park City, where Executive Chef, Ryker Brown is wowing guests with his sophisticated American Mountain cuisine. Brown sources and forages the freshest ingredients, adds his imaginative twists, which he presents on dramatic stone slabs and wood. Menu standouts include the signature Oysters & Hogwash (a just-right, spicy rice-wine vinegar enhancer) a healthy, citrus-y mixed grain salad, Crispy Pork Belly sous vide and a Wagyu Beef steak that melts like buttah. Tupelo’s chef/owner, ex- southerner, Matt Harris, travels the country to search out the finest small-scale and artisanal products, which he then prepares in unexpected ways. Whether you’re dining on fresh Idaho trout, natural Bear Lake lamb, heirloom Sea Island beans, house-made ricotta or the sweetest scallops imaginable, you’re in for a tasty experience. If you’re looking for the ultimate burger, head to Montage Deer Valley’s Burgers & Bourbon for the finest gourmet burgers, made from a proprietary blend of the finest farm-raised beef. 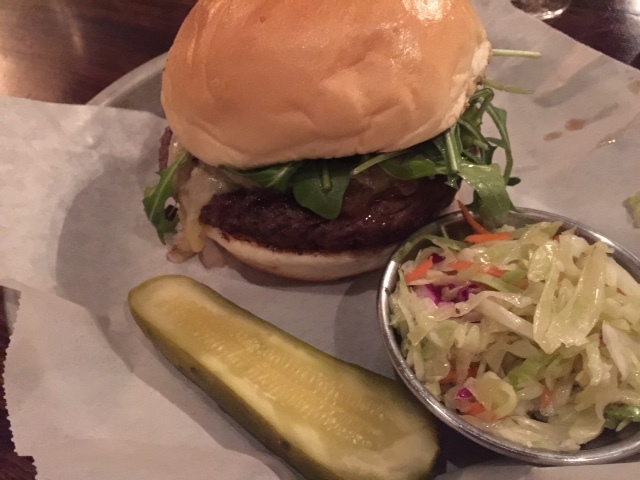 I went all out and ordered the decadent Lux Burger topped with foie gras, truffle cheese, bourbon onions and arugula, which tasted even better than it sounds, particularly with a trio of fries (truffle, rosemary and sweet potato) and sauces on the side. Lest you think I’m a total piglet, I held back and only ordered a mini s’more shake for dessert! For a scrumptious brekkie, the rustic Silver Star Café can’t be beat. The only problem is that you’ll find it impossible to order just one dish, so here’s my best advice. If you’re there for brunch, order your own entrée (thumbs up for either the Rock Crab Benedict or the Roasted Apple Pancake) and then order the mind-blowing, heath-fired Bacon & Onion Pizza to share. No matter how stuffed you are, don’t even think of leaving until you’ve sampled some desserts. I highly recommend the Oatmeal Bacon Cookie Sandwich dipped in the homemade Butterscotch pudding! The Spa at Stein Eriksen Lodge’s, Utah’s only Forbes Five-Star Spa, offers guests the ultimate in relaxation. 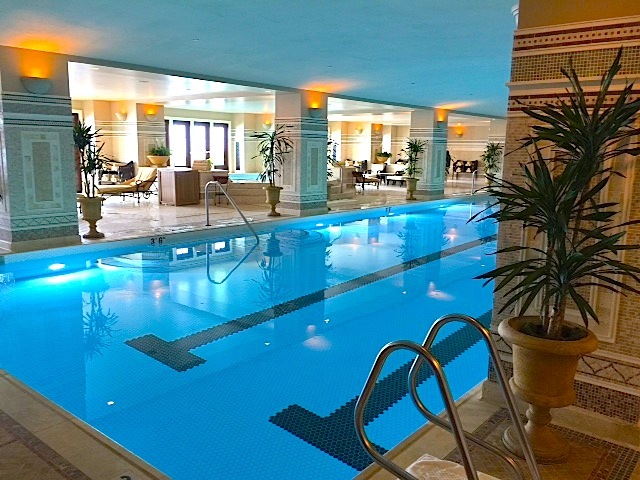 There are 16 treatment rooms, a spacious relaxation area, a sauna, eucalyptus steam room, and a hot and cold plunge. You can dart in for a quick Winter White Truffle Manicure or sign on for the four-hour “Blue Bird Bliss,” which includes a signature massage, Nordic Experience facial and an Alpine mani/pedi. Spa Montage Deer Valley allows you to relax and unwind in a while taking in the serene mountain views. My fab masseur Will’s mission was to seek out and destroy every last aching muscle. Mission accomplished. You could easily spend the day here enjoying the redwood saunas, steam rooms, jetted whirlpools, deluge showers, indoor mosaic lap pool and outdoor pool with sundeck at the humongous 35,000-square-foot spa. There is also a top-notch gym filled with state-of-the-art equipment and a full roster of exercise classes. Side bar: I have flunked more yoga classes than you can count since I can’t bend enough for even a “Down Puppy,” but I have to admit that Kate, our exceedingly patient instructor, had me almost touching the ground! *For more information on Park City Utah go to https://www.visitparkcity.com/.